This is her sixth career full-length album, she is therefore an experimented and already prolific artist. 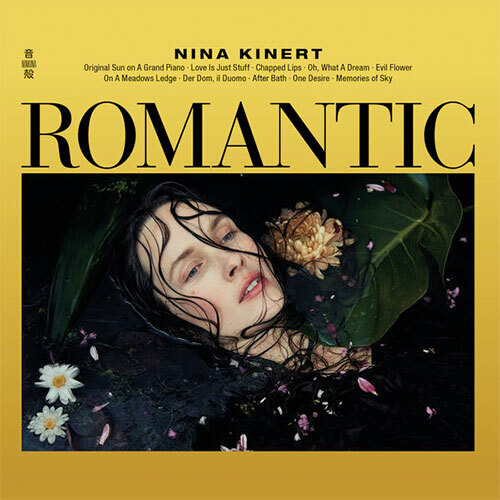 She is none other than Nina Kinert, hailing from Stockholm, who has recently released, in 2018, the album titled Romantic. It is a great ensemble of ten pop, folk and even at times electronic songs, displaying Kinert’s unique versatility and talent for experimentation. Often compared to the Norwegian star Ane Brun, and non-coincidentally having received much praise from her from the beginning of her career, Nina Kinert will have started to publish 14 years from today already, with her album Heartbreaktown, released in 2004. About the new album itself, it is a fantastic melodic odyssey through a sensible and equally utterly poignant musical universe. Kinert never hesitates to push the frontiers of her creativity with her crystal-clear voice at the helm of her musical ship, which also features a flawless production. The piano leads the symbiosis of the instruments during a good part of the album and finds any possible way to tickle your innermost feelings. Released under her very own personal label called Ninkina Recordings, it is a more-than-satisfying album for every fan of this music so often acclaimed by Scandinavian artists of all kinds. Emotions guaranteed! Nina Kinert est une artiste pop/folk originaire de Stockholm. Elle a sorti depuis 2004 plusieurs albums : "Heartbreaktown", "Visitor", "Pets & Friends", "Red Leader Dream". Nina a aussi collaboré avec des artistes comme Ane Brun et plus récemment Tomas Barfod. Après plusieurs années d'absences, elle revient en 2015 avec un nouvel album sous le nom de Nina K.